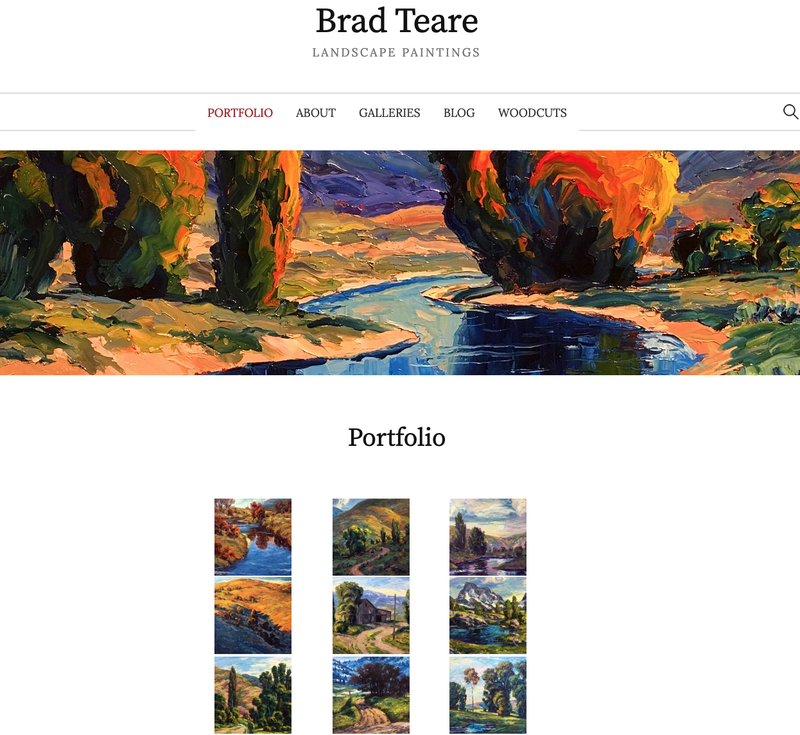 BRAD TEARE: 353: New Blog! 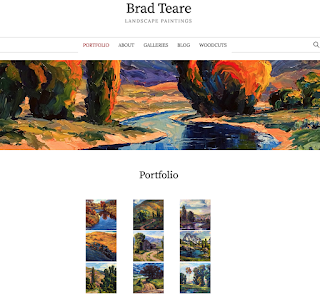 –I HAVE recently made a new website and a new blog. The blog has all the original material of this Thick Paint site minus entries with expiration dates such as exhibits and class announcements–so the topics are even easier to browse. I will no longer be posting to this blog with the Blogspot address. The new blog is hosted by Word Press and promises to be faster and more visually intriguing. I hope you agree and will join me at the new site here. The first entry on the new blog is about how we talk about our art and the necessity to do so. And how communicating effectively will help not only ourselves but the art community as a whole. If you enjoy the new venue I hope you will leave a comment with ideas and suggestions on the new site. Many thanks for your help and continued support. I loved the look of your new site, everything is well organized... but as a visitor to your blog, how do I leave a comment? I could not figure it out. That's a good point Padmaja. I completely forgot about that! I will see if I an get that fixed so people can add comments. I do so enjoy what people have to say. Thank you for the suggestion and for checking out the new blog. I've really been enjoying your paintings on Instagram. Your color is so magnificent!